You might want to bring along a loaf of gardenia bread or baguette to this place. Kam Long, wow. Where have you been all my life? And I am probably late to the party because a single google search would fetch you tons of reviews. 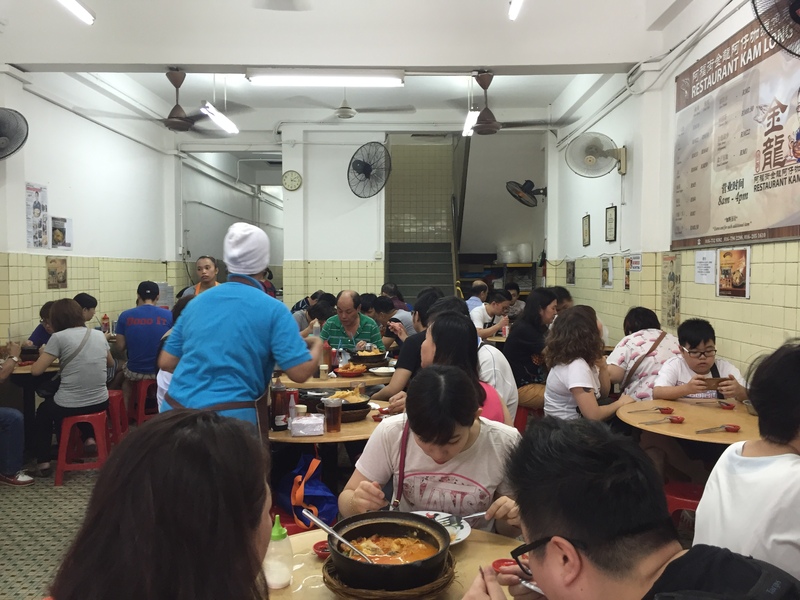 I’ve never heard of them until we met some friends over at JB, who randomly told us that they saw this curry fish head place with a crazy queue outside. How coincidental hor, meet friends there! But yes, we heard curry fish head, and we were desperate for some savory food after stuffing our faces with bread so.. 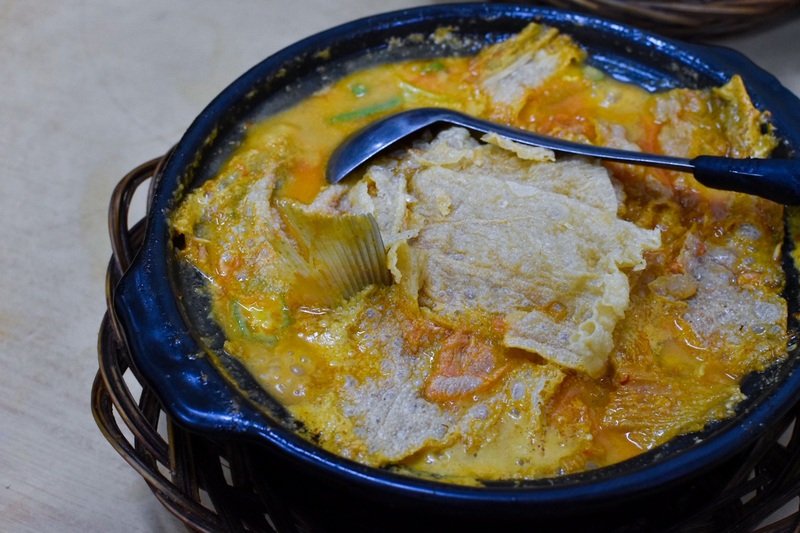 I googled – Curry FIsh Head JB. 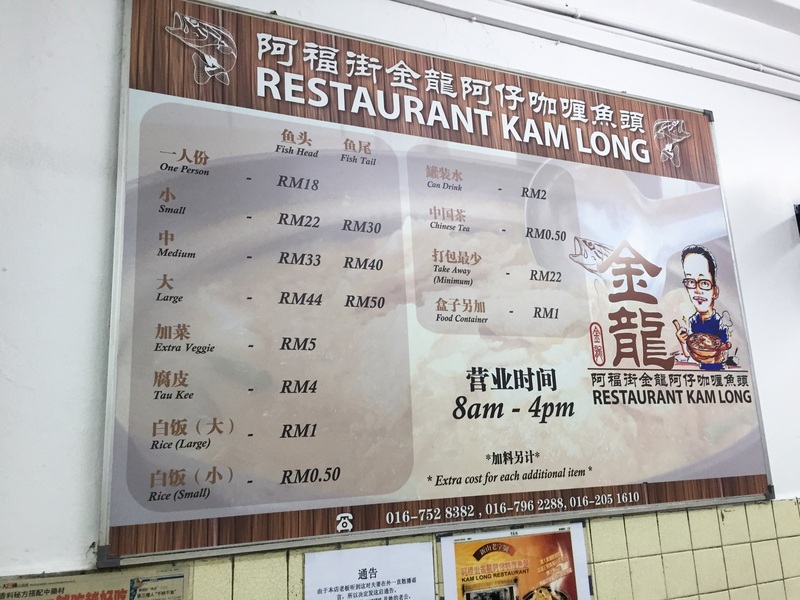 And it was just Kam Long here Kam Long there Kam Long everywhere. I guess that should be it right? They are located just a stone’s throw away from City Square Mall in JB. I don’t really know how to direct you BUT, okay here goes nothing. If you exit mall heading towards the Jalan Tan Hiok Nee/Jalan Dhoby area, Kam Long would be on the LEFT of where you are. Instead of crossing over to the Jalan Dhoby area, just walk left. Cross a road and continue walking for 3-5 minutes. You shouldn’t miss it with the PERPETUAL queue OUTSIDE of the packed, very packed stall. This is their shop front! Yellow sign board, supposedly ample seating space but the queue NEVER ends. All day ERR DAY. QUEUE QUEUE QUEUE, even after lunch hours. SEE SO BIG THE SPACE. BUT MUST QUEUE. You’ll realize that this place is popular amongst tourists as well as their locals. Most of them are locals when we were there. Now, that says a lot. A quick look at their menu would say even more.. BECAUSE. For the past > 25 years Kam Long has been operating, they only sell ONE THING. JUST ONE THING – Curry Fish Head or Tail. 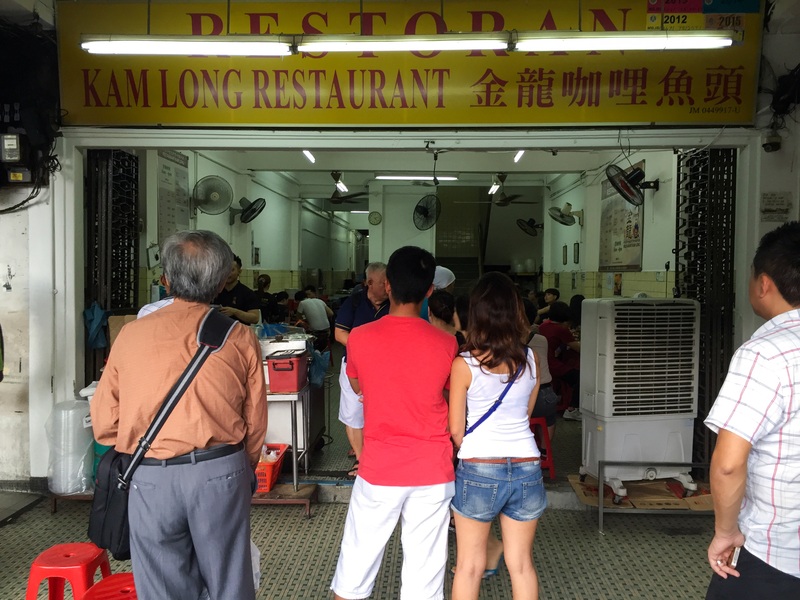 It’s amazing how confident they are of their fish head curry and despite being so niche in their offering, you still get that throngs of queues. That, in itself, says a lot. 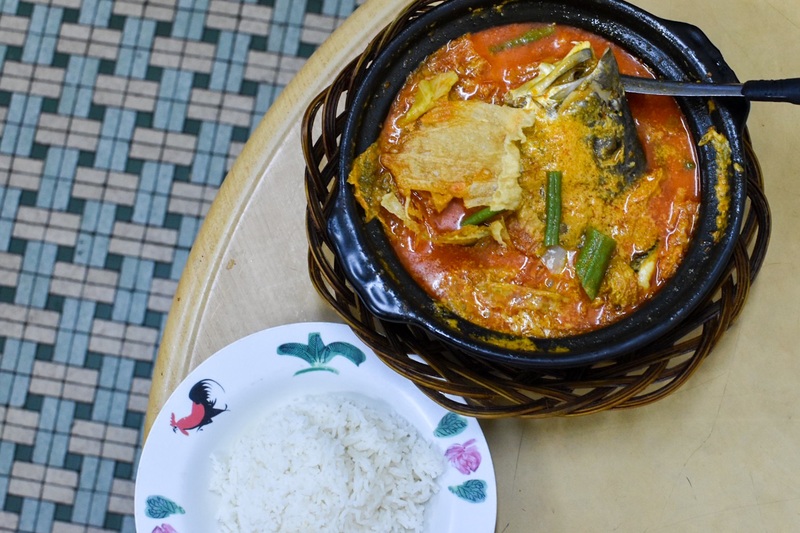 We ordered the SMALL portion of Fish head curry (RM22, ~S$7.30). Be prepared to wait for a while for your curry to be served, we waited for 15 minutes and that is because the fish and vegetables are all cooked upon order to ensure their freshness! YOU COULD TASTE IT, I TELL YOU. WORTH THE WAIT! It came like this and I was like OMG BEANCURD SKIN, but where’s the fish ah. HAHA! I LOVE HOW THE BEANCURD SKIN GETS SOAKED WITH THE GRAVY. SUPER YUMMY! 1. It is does not have a hell lot of coconut milk, so the entire mixture was lighter and very palatable. You could just keep having it without feeling jelak. 2. It had a very very slight heat. It’s not because I can’t take heat but I simply do not like the feeling of being bloated and full from dousing the heat from the fire when I eat my food. And also, the weather was crazy hot, I don’t need additional spice to make me feel even hotter! 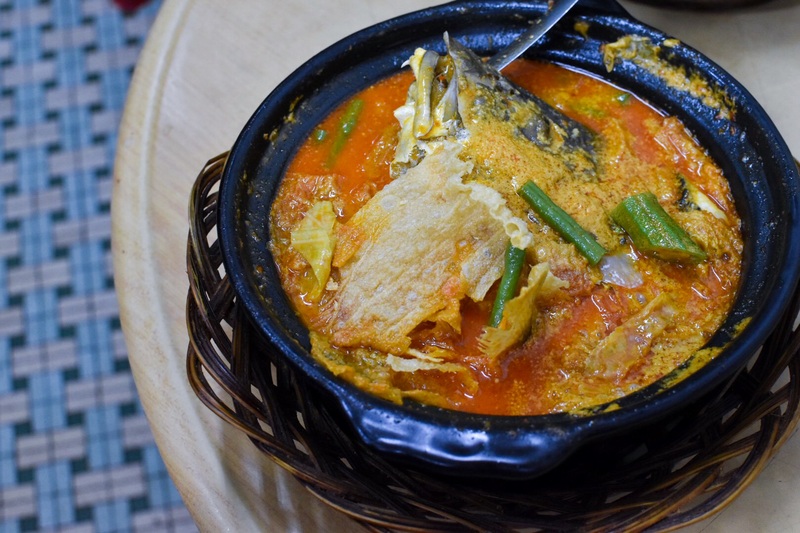 Within this claypot, the ingredients within the extremely addictive gravy included beancurd skin, lady’s finger, tomatoes, and cabbage, of course with the red snapper! The red snapper had a lot of meat some more! $7 for this claypot was enough for 2 to share! SHIOK. VERY SHIOK. I’ll slurp it all up with that plate of rice. TOO AMAZING. I can’t seem to put a finger to why it is so good, but it is that good. I actually would crave for this and come back to have this when I’m in JB the next time round! Try it and let me know what you think!